Chamberlin and his wife do a lot of staycationing, especially at the newly refurbished Mountain Shadows Resort. “Their restaurant, Hearth ’61, doesn’t serve the usual heavy hotel food. It’s light, healthy stuff. I want substance as well as flavor, and chef Chuck Wiley has done a great job getting both into every entree. Mountain Shadows Resort (5445 East Lincoln Drive, Paradise Valley, 480-624-5400, mountainshadows.com) has all the bells and whistles of a really great hotel, and my wife and I love their restaurant, Hearth ’61. Flower Child (100 East Camelback Road, 480-212-0180, iamaflowerchild.com) lets me feed my kids healthy food when I’m in a rush. They’re consistent and have a lot of great menu options. Nobuo at Teeter House (622 East Adams Street, 602-254-0600, nobuofukuda.com) is a shining star among local restaurants. They’ve won a James Beard Award, and they deserve it. I’ve been eating at Gallo Blanco (928 East Pierce Street, 602-327-0880, galloblancocafe.com) since they first opened. It’s the best Mexican cafe I know of where you can get breakfast, dinner, and lunch, and there’s always something new on the menu. I love good coffee, and Crepe Bar (7520 South Rural Road, Tempe, 480-247-8012, crepe-bar.com) serves really great coffee. And this is the only breakfast place you can go where they serve an amuse-bouche of cold cereal while you’re looking at the menu. You won't come to Pa'La for complicated, showstopping dishes, or white tablecloth ambiance. You'll come because Pa'La is a temple of simple and elegant wood-fired cooking, highlighting impeccably sourced ingredients. The casual counter-service restaurant, a collaboration between veteran chef Claudio Urciuoli and Tortas Paquime's Omar Alvarez, delivers a menu that is relatively modest in scope: just Spanish tapas, wood-fired Italian schiacciata flatbread, salads, and Urciuoli's signature Navarro bowl, made with heirloom grains and topped with responsibly sourced, ultra-fresh seafood. The menu changes daily, but you can count that whatever Urciuoli delivers to your table (often on a biodegradable paper plate) will be remarkably fresh, refined, and delicious. When James Beard Award-nominated chef Kevin Binkley announced he was closing two restaurants and migrating his flagship New American fine-dining outpost to midtown Phoenix (into the historic home that formerly housed Bink's Midtown), the local food cognoscenti was skeptical, to put it lightly. Opening a fine-dining restaurant in metro Phoenix, and closing two profitable businesses in the process, is considered a risky proposition in any economic climate. Fortunately, the reimagined Binkley's Restaurant feels like a worthy risk. Binkley works closely with his small culinary team to prepare elaborate, 20-plus-course dinners, which are crafted using optimal ingredients and served in a highly intimate setting. The chef pulls out all the stops, offering diners a direct view into the kitchen and mingling with guests throughout the three- to four-hour dinner service. Restaurant Progress is the indie darling of the Phoenix culinary scene, and the perfect place to take any diehard foodie friend. The 37-seat neighborhood restaurant feels at once sophisticated and intimate, and the open kitchen means you can catch a glimpse of chef-owner TJ Culp and his kitchen crew manning the ovens throughout your meal. Culp and company deliver seasonally driven, modern American fare, with a menu that changes about every four to six weeks. You can order à la carte, but the best way to experience Culp's playfully refined cooking is with the five-course chef's-choice tasting menu. A lot of what you see when walking your dog or on a hike — the berries, and fruit, and flowers — you may see but not really see. You may dismiss them as regular parts of our vast and strange Sonoran landscape. They are what they are, and they blend in. Tamara Stanger of Cotton & Copper sees this central Arizona bounty in ways that virtually nobody else does. 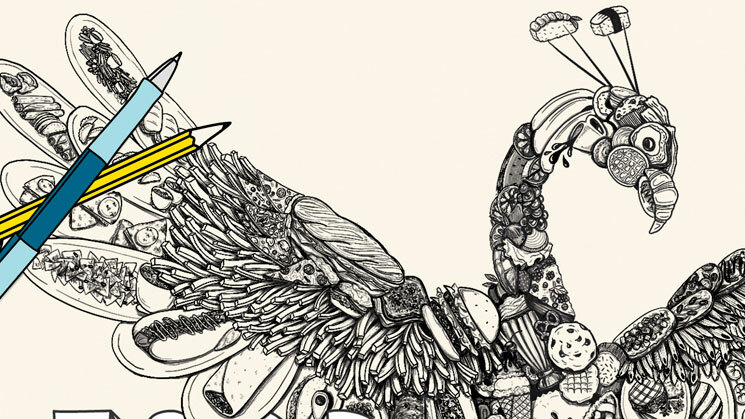 She has started to build a formidable reputation for using these hyperlocal lifeforms to push and elevate her artful food. With dishes like dumplings with corn ash, cactus fruit semifreddo, and tacos built from heirloom Pima wheat tortillas, Stanger trailblazes toward a new Arizona cuisine. What exactly that cuisine will be remains, lucky for us, to be tasted. They say absence makes the heart grow fonder. Well, we're very fond of The Maine Lobster Lady, a seasonal food truck that graces the Valley with its presence November through May. In those other months, when proprietor Diana Santospago is at her home in, well, Maine, all we can do is remember fondly the times when we've been greeted warmly at the cheerful blue truck and think about all the dishes we can't wait to revisit upon her return — the fat lobster rolls (served chilled with lemon mayo or warm with drizzled butter), the rich lobster bisque, the juicy fried seafood rolls (your choice of scallops or whole belly clam), the Maine whoopie pies, and much more. Is it November yet? With Devour's move to the 140 acres of Phoenix's Desert Botanical Garden, the best food festival in the Valley has gotten even better. To whirl through Devour (if you're lucky enough to get tickets) is to experience Arizona's food scene in ideal miniature, in a blur of local wines, fancy tacos, and deer sausages cooked on Santa Maria-style grills. The crowds descend. You have to get in early. And if you can circumvent or tolerate the hordes, you will be in for a day of eating like no other: cinnamon and strawberry horchata, chile colorado, porous Ethiopian injera and berbere-powered stew, ixguá corn cakes, and rivers of the best Arizona wine and beer. Welcome Diner is dead; long live Welcome Diner. In May, after more than a decade at 10th and Roosevelt streets, the original location of Welcome Diner closed and a brand-spanking-new location opened just a few blocks south. We're not gonna lie: We will miss the cozy, lo-fi, backyard aesthetic exemplified by the tiny midcentury diner and its outdoor area populated with string lights, wooden tables, and lawn chairs. But we love the slick retro vibe of the new Welcome Diner, and we're psyched that it's now open every day of the week (and until 2 a.m., no less) for riffs on Southern classics like pulled pork and grits, cornbread panzanella, and the famous Big Jim fried chicken biscuit sandwich. Super Chunk in Old Town Scottsdale was always a place we loved to stop at for goodies and gifts of various types. Then, last year, owners Sergio and Country Velador expanded into the space next door to create New Wave Market. Now, the combined concepts are a place we're content to linger. As we wait for our breakfast (maybe a ghee-fried egg on a house-made sea-salt bagel) or lunch (the schmaltz chicken salad sandwich is a standout), we take a look around at the items available for purchase, from local foodstuffs like Cutino hot sauce and Zak's Chocolate to home goods like mugs and cactus-print pillows. There's no need to rush through your meal at New Wave; the vibe is relaxed and cheerful, the perfect place to stay awhile with a book or a friend, and if you delay your departure long enough, you may find you have room for something from the Super Chunk side: a rich canele, perhaps, or one of the famous mesquite chocolate chip cookies. 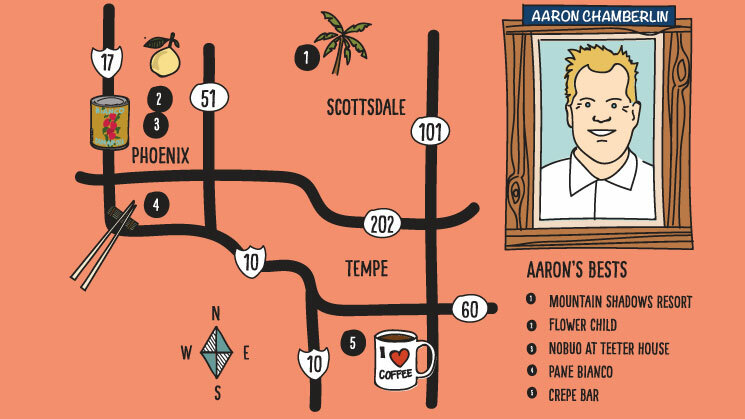 The vastness of metro Phoenix means that there are restaurant gems to be discovered all over the Valley. But you can save yourself some gas and hit up three hot new eateries with one stop to the northeast corner of Rural and Warner roads in Tempe. Aaron Chamberlin's Tempe Public Market Café, a casual all-day spot, was the first to open, in January. July brought us Cotton & Copper, an Arizona-centric eatery created by Sean Traynor and helmed by chef Tamara Stanger. Finally, Ghost Ranch, another Chamberlin eatery (this one serving "modern Southwestern" fare), debuted in August. All of a sudden, one unassuming corner is a must-visit dining destination, and we're glad to see the denizens of south Tempe get some high-profile restaurant choices. It was a quiet Monday morning, right up until the news that broke the internet: White Castle is coming to Scottsdale. The venerable slider joint announced on August 24 that the first Arizona location, and only the third west of the Rockies, would go in at Via de Ventura and the 101 Pima Freeway in late 2019. It seemed like everyone had an opinion, and reactions seemed to be split into three camps: unbridled joy bordering on hysteria, personal anecdotes about that one time someone got a stomachache from eating there, and "In-N-Out is better." But despite the naysayers, we're psyched that we no longer have to go to Las Vegas (or God forbid, New Jersey) to experience those perfectly square burgers with the tiny grilled onions. With its old-fashioned pay phone, rose-covered wallpaper, and basket full of peppermints, the women's restroom at Durant's is a hyper-feminine antidote to the rest of the steakhouse's 1950s mob-boss vibe. But the best part of the restroom, besides its vintage charm, is the millennial-pink vinyl couch. When you've had enough of men for the night, or you just want to gossip in private, grab your martini and settle in. The only downside? Durant's predates the age of catering to digital influencers, and the restroom's tight corners and strange lighting mean that we've never been able to get the perfect Instagram. Come for the Jamaican fare and the enormous menu of creative rum drinks; stay for the cozy enclosed outdoor lounge where you can eavesdrop on the cigar-smoking crowd. At this downtown restaurant, you can leave responsibilities behind and pretend you're on a tropical island vacation. As the name suggests, The Breadfruit & Rum Bar has a huge number of rums on offer. The kitchen also serves up sustainably sourced seafood, earning the restaurant a Smart Catch label from the James Beard Foundation. Drinking your way through the dozens of rums, cocktails, and flights on the menu could take a year, so let the staff recommend a drink and a cigar to pair with it. Or just pick a random rum beverage that looks appealing, let the worries of the day fade away, and imagine you're somewhere far from a landlocked desert state.